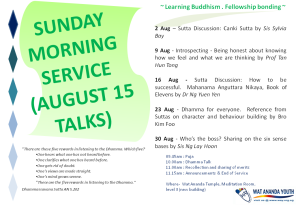 Lunch dana to the Sangha at 11.15am. Please bring some food to offer and reach by 10.45am. 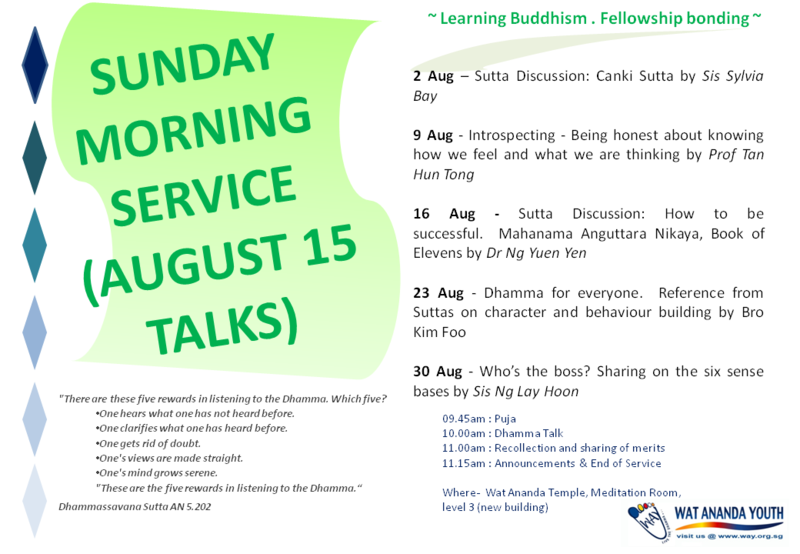 This entry was posted in Sunday Morning Service (SMS) and tagged Dhamma talk, SMS, Sunday Service, Sutta on July 19, 2015 by wayadmin.